Known for their rustic asado (traditional barbeque) and world-renowned wine, Chile and Argentina are favorites for travelers looking to explore the world through their taste buds. Below, I recommend places to stay in Chile and Argentina, restaurants, culinary workshops and more. Awasi Atacama is a charming eight-room luxury hotel located in San Pedro de Atacama, Chile. This property is Relais & Châteaux and manages to produce incredible, one-of-a-kind dishes with local ingredients, even though farming in the Atacama Desert’s harsh climate is challenging. The hotel staff at Awasi are extremely knowledgeable and friendly and they do a wonderful job focusing on both their culinary experience as well as their adventure excursions. They also have another lodge, Awasi Patagonia, located just outside of Torres del Paine National Park. Hotel Vira Vira is a Relais & Châteaux farm-to-table luxury lodge situated in Chile’s lakes district. Fairly new to the scene (their doors opened in fall of 2014) this property is the perfect combination of modern and rustic. The owners Michael and Claudia have an impressive attention to detail with everything from the interior design to the included adventure excursions to the acclaimed gourmet food. I would highly suggest taking a tour of the on-site creamery and large-scale kitchen garden (details below). Click the following link to read a little bit more about my recent trip to this incredible luxury lodge in Chile. The Singular Patagonia is a five-star luxury hotel with phenomenal food. They are situated just outside of Puerto Natales in Chilean Patagonia in a renovated cold storage plant built in the 20th century. 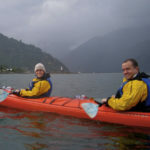 Aside from their delicious food, they offer a wide range of activities in their included excursions list including fly fishing for trout, sea kayaking, mountain biking, horseback riding, site seeing, hiking etc. La Casona at Matetic Vineyards is a seven-room boutique hotel in Chile’s Rosario Valley with over 100 years of history. It has been remodeled and decorated by Max Cummins, a renowned designer and offers a beautiful and tranquil setting to relax and enjoy fine wines. This is a charming accommodation surrounded by beautifully manicured vineyards where you are able to enjoy great food that pairs well with their remarkable wine. This hotel experience is particularly unique because you are able to explore the grounds, visit the vineyard and take part in included excursions apart from wine tasting. The Vines Resort + Spa is located in Mendoza, Argentina and has been recognized by Travel + Leisure, Condé Nast Traveler and many other publications as an outstanding hotel and vineyard. It is set on over 1,500 acres of pristine private vineyards and is home to Siete Fuegos, one of Francis Mallman’s restaurants (read more about this restaurant below). Hub Porteño is a posh boutique hotel found in the famous Recoleta neighborhood in Buenos Aires, Argentina. Their restaurant, Tarquino, was named one of the Latin American 50 Best Restaurants in 2015 and the hotel’s design is the perfect combination of modern and luxury. Fierro Hotel is an award-winning, hip hotel set in the vibrant and lively Palermo Hollywood neighborhood in Buenos Aires, Argentina. They are the home of UCO, one of the city’s trendiest restaurants, serving “back-to-its-roots” traditional Argentine cuisine with a modern twist. Boragó describes itself as a dialogue between nature and cuisine and recognized as one of the world’s 50 best restaurants. This world-renowned restaurant is located in Santiago, Chile and must be reserved in advanced. Casa Felix is a Puerta Cerrada (closed-door or underground) restaurant in Buenos Aires, Argentina. It is tucked back in a secret garden like setting and offers phenomenal dishes created by Chef Diego Felix. It is the perfect place to enjoy organic, locally grown produce with a gastronomic focus on vegetarian and pescetarian plates. Las Pizarras Bistro is located in the trendy Palermo neighborhood in Buenos Aires, Argentina. This restaurant does not have a solid menu but rather an evolving list of unique dishes (with a focus on seafood) created by owner and chef, Rodrigo Castilla. Las Pizarras is one of the best-kept secrets for foodies in Buenos Aires. Casa Coupage is another Puerta Cerrada located in the Palermo neighborhood of Buenos Aires, Argentina. This restaurant is unique, as it was originally a wine club before turning into a dining establishment and both of the owners are trained sommeliers. Their food and wine pairings are exquisite and the atmosphere is very elegant and inviting. El Casco is run by Ana Lucía Arais – Prix de Chaîne de Rôtisseurs – and is located in the El Casco Art Hotel in Bariloche, Argentina. Before dinner take a stroll through the property to view over 300 art masterpieces. Cassis Restaurant is a cozy yet sophisticated restaurant located in Bariloche, Argentina. Mariana and Ernesto welcome you and cook for you as if you were in your own home. They offer a unique style of cuisine that has roots in Central Europe and is complemented by fresh, local produce from Mariana’s own organic garden. Brindillas is an exclusive, reservations only experience in Mendoza, Argentina. This is a closed-door restaurant that typically prepares a 7-course wine paired menu. Siete Fuegos was created by Francis Mallman – an internationally acclaimed Argentine chef – and is a representation of his rustic culinary style. This restaurant showcases his seven open-flame cooking techniques inspired by Argentina gauchos and European migrations. It is located in the Vines Hotel in Mendoza, Argentina. Culinary Workshop in Santiago Feel the animated bustle of local farmers and Chileans alike at the La Vega Market (Santiago’s largest produce market) and Mercado Central (Santiago’s famous seafood market). Afterwards, join your guide at a cooking workshop in a private kitchen tucked in one of Santiago’s quaint neighborhoods and learn how to make traditional Chilean dishes while enjoying perfectly paired wine (inquire for details, this workshop can be private or with a small-group). A culinary workshop such as this is a must-do for any Chile and Argentina food and wine travel experience; it’s a great way to ask questions and bring recipes home so you always have something to remind you of your travels. Property + Creamery Tour at Hotel Vira Vira First, you will have the opportunity to ask your guide questions and take photos as you tour the large garden located next to the main lodge. In the garden you will discover plants you may have never encountered before, see the process of drying herbs and more. Then, you will make your way over to the on-site creamery where you will learn how they make they many different types of cheeses they serve exclusively at their property. Mataderos Market in Buenos Aires Immerse yourself in the Buenos Aires’ meat and wine culinary culture. Your hosts Diana and Chef Sergio will take you through the Mataderos neighborhood where you can experience the Feria de Mataderos, a weekly folk fair that celebrates local country life, and the Mercado de Hacienda – a market that sells typical Argentine food and artisanal products. Quebrada del Condor in Mendoza You will horseback ride the Cordón del Plata trail through stream crossings, winding paths and up and down mountainsides while sighting condors and other wildlife. Then, back at the base camp you will enjoy a real deal Argentine asado (barbeque) prepared by the gaucho’s wife along with rustic Chef Rodrigo Ruiz. This experience is truly one of a kind. To plan a Chile and Argentina culinary trip one must first decide where to go and then how to organize it all seamlessly into one trip. For suggestions on luxury accommodations in Chile and Argentina, must-try restaurants, culinary workshops and foodie excursions look no further. To help organize it all together, give us a call at 612-315-2894 or email our Trip Specialists at travel@knowmadadventures.com to start planning your Chile and Argentina food and wine trip today! 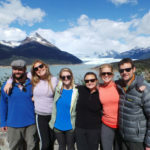 Lisa is the Media Manager at Knowmad Adventures, a company dedicated to creating unique, private and custom trips in South America. She studied abroad in Buenos Aires, Argentina in 2012 and is continually planning her next adventure. Read Lisa’s biography and more about the Knowmad team.